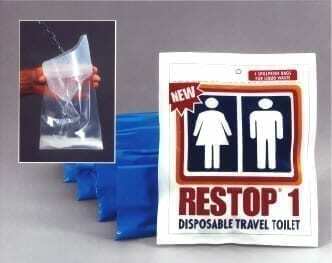 The Restop 1 Disposable Travel Toilet three-pack contains 3 disposable urine bags. Each bag contains super absorbent polymers and enzymes that will absorb a full 20 ounces of urine. 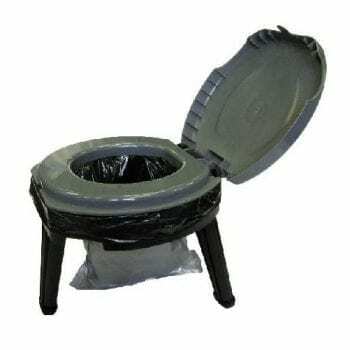 The wide opening with semi-rigid rim allows for easy use by men or women. The one-way valve prevents spillage should the used bag be accidentally dropped. Restop contains the odor as well as the waste. Deodorants are added to the polymers to eliminate odors. The Restop 1 is a quick, convenient and environmentally friendly way to answer natures call. 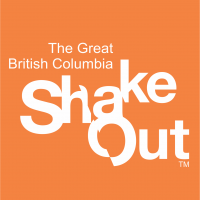 Add one to your home or car emergency kit – you never know when you’ll be happy to have it! 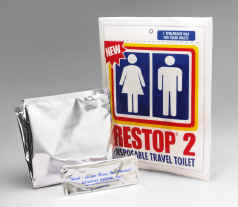 Each package contains 3 disposable urine bags, toilet paper, and antiseptic wipes. – Contains super absorbent polymers and enzymes that will absorb up to 20 oz. of urine. – Semi-rigid rim allows for easy use by men or women. – Quick, convenient, and environmentally friendly way to answer nature’s call.